The convention will be held on the 14th of October. We will be electing a state committee, ratifying the bylaws, and entertaining motions you submitted beforehand. To run for state committee, submit an alteration to the bylaws or make a motion please email SolidarityPA@gmail.com by the 7th of October. The voting will be conducted via survey monkey. Here are the proposed bylaws. Section 2. Principal Office. The principal office of the Chapter shall be located at such place as shall be designated by committee resolution from time to time. Section 3. Other Offices. The Chapter may also have offices at such other places, within or without its state, where it is qualified to do business, as its business and activities may require, and as the committee may, from time to time, designate. Section 1. Purposes. The Chapter is organized exclusively for one or more of the purposes as specified in Section 527 of the Internal Revenue Code. Section 2. Specific Objectives and Purposes. The specific objectives and purposes of the Chapter shall be to further the cause of the American Solidarity Party in American politics. Section 3. Authorization and Limitations. The Chapter shall have the authority to exercise all powers conferred upon State Chapters affiliated with the American Solidarity Party as subcommittees. These include, but are not limited to, the power to accept donations, or any interest therein, provided that such powers are only exercised as permitted by a nonprofit Party that qualifies as a Party described in Section 527 of the Internal Revenue Code. It shall not engage directly or indirectly in any activity which would cause the loss of such qualification. In all circumstances, the authority of the Chapter shall be limited by the operation of law and the rules of the American Solidarity Party governing State chapters. Section 1. Number and Initial Members. 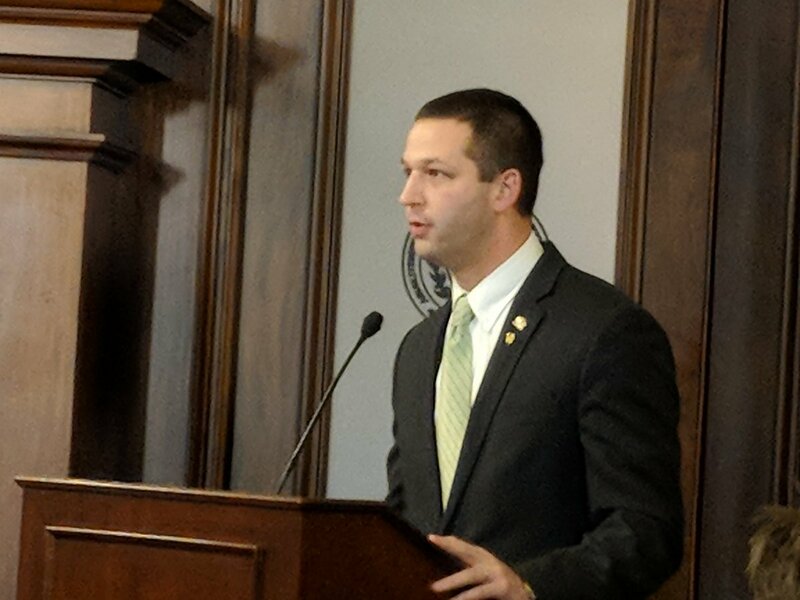 The number of Committee Members will be an odd number not less than five (5) or more than fifteen (15) and shall be known as the Pennsylvania Chapter Committee (“the Committee”). The initial number of State Chapter Committee Members shall be five (5). The Committee may increase or decrease the number of Committee Members by amendment of the Bylaws, but no decrease shall shorten the term of any incumbent Committee Member. The initial State Chapter Committee Members, elected prior to the adoption of these bylaws, are Brian Lester, Eric Manchester, Tara Ann Thieke, Charles Harvey, and James Lomuscio. The initial State Chapter Committee Members shall conduct an election in accordance with Article III, Sections 5 and 6 of these bylaws within 90 days of ratification of these bylaws. If an election is not held within 90 days of ratification of these bylaws, all authority given to the Committee Members, except for the power to conduct an election, will be suspended. Section 2. Qualifications. Committee Members shall also be members of the American Solidarity Party and must sign the Affirmation of Principles of the Chapter: “I affirm my recognition of the sanctity of human life, the necessity of social justice, our responsibility for the environment, and the possibility of a more peaceful world.” Committee Members must be eighteen (18) years of age. Committee Members who campaign as a candidate for another political party without also running with the endorsement of the American Solidarity party or who accept a position with another political Party will be considered to have resigned from their seats. Section 3. Powers and Compensation. Subject to the provisions of the laws of the Commonwealth of Pennsylvania and the United States of America, and any rules of the American Solidarity Party and these Bylaws relating to action required or permitted to be taken, the activities and affairs of the Chapter shall be conducted and all powers shall be exercised by or under the direction of the committee. The Committee Members receive no compensation but may be reimbursed for reasonable expenses as determined by the Committee. (c) Meet at such times and places as required by these Bylaws. Section 5. Election and Term of Office. Committee Members shall be elected by the Chapter members. Each Committee Member shall be elected to a term of two (2) years and except in the case of the resignation, removal, death or incapacity, Committee members shall hold office until the expiration of their terms and election of their successors. Successors for Committee Members whose terms are expiring shall be elected at the biennial Chapter Organizing meeting by vote of the members. This Organizing meeting shall be scheduled for the Month of May. The nomination and election procedures used for the election of Committee Members may be established by the committee, provided, however, that such procedures are consistent with these Bylaws. Section 6. Election Procedures. Any member can nominate a candidate to the slate of nominees for the Committee by presenting a petition supporting nomination to the secretary of the Committee. Candidates shall be elected by the method designated by the Committee. The methods shall include allowing for nominations up to one week before the election and for the casting of ballots electronically and by means that allow all State chapter members to vote. Section 7. Removal. Upon the vote of a majority of the Committee Members then in office, the committee may remove any Officers for cause at any regularly scheduled meeting of the committee or any special meeting of the committee called for that purpose. Grounds for terminating Committee Members include, but are not limited to, acts or behavior detrimental to the purposes of the Chapter and continued nonattendance at Committee Meetings. Section 8. Resignation. Any Committee Members may resign from office at any time by delivering a resignation in writing to the Committee. The resignation shall take effect on the 14th days from date the notice is given, once accepted by the Committee, or at any later time as specified in the notice. The acceptance of the resignation, unless required by its terms, shall not be necessary to make the resignation effective. Section 9. Vacancies. The committee, by vote of a majority of the Committee Members then in office, Shall elect Committee Members to fill any vacancies on the committee as the next order of business. Committee Members so elected shall serve until the next Chapter organizing meeting, at which the election of the Committee Members is in the regular order of business. Section 10. Place and Time of Meetings. The Committee shall hold a regular meeting monthly for the transaction of business, unless quorum cannot be met, and hold biennial Chapter organizing meeting for the purpose of election of Committee Members and for the transaction of other business. The location of the regular meetings and Chapter Organizing meeting shall be at such place as determined by the committee. Meetings can be in person, telephonically, or by any other means as determined by the Committee. Section 11. Special Meetings. Special meetings may be called by the Chair or a simple majority of the Committee and shall be held at such time and place as those calling it shall designate. Section 12. Notice of Meeting. Notice of the time and place of each regular or special meeting, or Chapter Organizing meeting, shall be given to each Committee Member in writing or through electronic mail at least five (5) days in advance. The notice of a special meeting shall state the purpose for the meeting. Notice of a meeting need not be given to any Committee Member who submits a signed waiver of notice, or who attends the meeting without protesting lack of notice. Section 13. Quorum and Voting. The presence of a majority of the Committee Members then in office shall constitute a quorum of the Committee for the transaction of business. Committee Members are required to attend all normally scheduled committee meetings. Section 14. Action by the Committee. Any action required or permitted to be taken by the Committee may be taken without a meeting if all Committee Members consent in writing or by electronic mail to the adoption of a resolution authorizing the action. The resolution and the recorded consents shall be filed with the minutes. Participation of one or more Committee Members by telephone conference or other equipment allowing all persons participating to hear each other at the same time shall constitute presence at a meeting. Section 15. Nonliability of Officers. The Committee Members shall not be personally liable for the debts, liabilities, or other obligations of the Chapter. Section 1. Officers and Duties. At the Chapter Organizing meeting, the Committee shall elect Officers of the Chapter, consisting of a Chair, Vice Chair, Secretary, Treasurer, and Vice Treasurer which constitute the Executive Team. The term of office for the Officers shall be one (1) year. The Committee may elect such other Officers as it determines necessary and may appoint them to the Executive Team. (vii) perform all duties incident to the office of Chair. (b) Vice Chair. The Vice Chair shall have duties as assigned by the Chair and the Executive Team, and assumes the Chair’s duties if he/she is unable to serve. Secretary shall distribute the meeting agendas which are set by the Chair or the Committee as a whole in advance. Every agenda shall include reports from the Chair, the Treasurer, and any existing subcommittees. (d) Treasurer. The Treasurer shall perform all duties customary to that office and shall keep full and accurate records of all funds, receipts, and disbursements in the Chapter’s books. The Treasurer shall prepare a financial report and present it to the Committee at each meeting. The Treasurer shall deposit monies in the Chapter’s name with the National Party Treasurer. The Treasurer shall not have authority to conduct banking activities on behalf of the Chapter, other than through the National Treasurer’s account. At the point that the State Chapter deems it necessary to operate independent State Chapter accounts, these bylaws will be revised as necessary and the State chapter shall incorporate under the nonprofit corporation laws of the Commonwealth of Pennsylvania and the Chapter shall register as a 527 entity with the Internal Revenue Service and prepare applicable financial disclosure reports. Executive Team, and assumes the Treasurer’s duties if he/she is unable to serve. Section 2. Qualifications. Any person who signs the Affirmation of Principles and serves on the Committee may serve as an Officer of the Chapter. Officers who affiliate in an elected position with another political Party will be considered to have resigned from their offices. Section 3. Removal. Upon a majority vote, the Committee may remove any Officer. Committee, effective as specified in the notice. The acceptance of the resignation is not necessary to be effective. Section 5. Vacancies. The Committee may elect Officers to fill vacancies. But for resignation, removal, death, or incapacity, Officers serve until the Chapter Organizing meeting’s election of their successors. Section 6. Compensation. The Officers shall perform their duties voluntarily and without pay, except that they shall be reimbursed for any reasonable expenses approved by a majority of the Committee. Committee resolution, and which may consist of other non-officer members. They shall act in an advisory capacity or in a manner as directed by the Committee. Section 2. Meetings and Action of Subcommittees. Meetings and action of subcommittees shall be governed by and held in accordance with the provisions of these Bylaws concerning Committee meetings. Section 4. Local Subcommittees. All Local chapters of the State Chapter shall be considered Subcommittees of the State Chapter. “Members” is used herein in its colloquial sense. 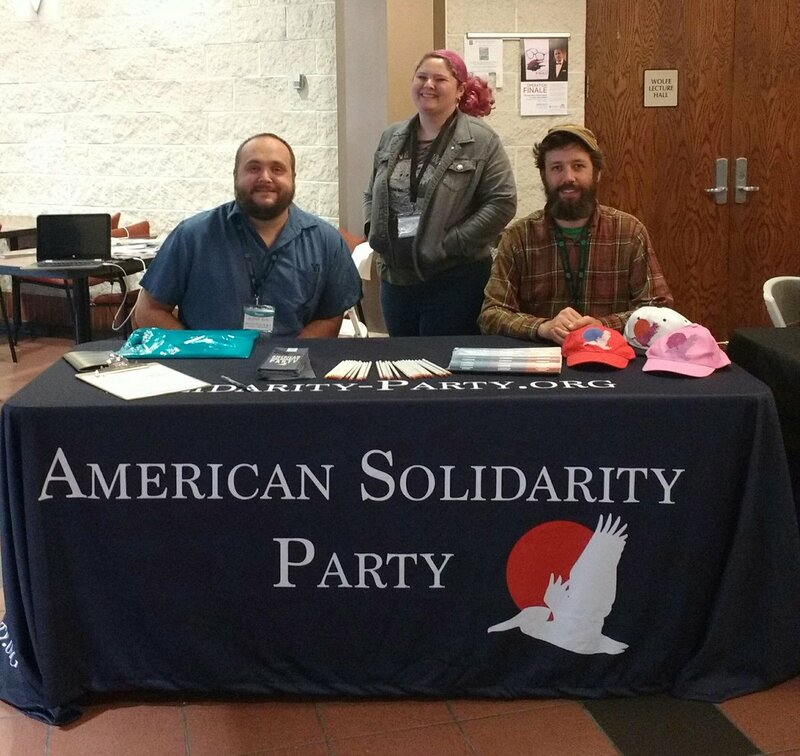 Membership shall be defined to include and be limited to all persons over the age of 18 registered with the American Solidarity Party and residing within the Commonwealth of Pennsylvania. (iii) it was determined that the Chapter could not obtain a more advantageous transaction with an unrelated Party. Section 1. Limitation on Activities. The Chapter is a subcommittee of the American Solidarity Party and is organized and operated primarily for the purpose of directly or indirectly accepting contributions or making expenditures, or both, for an exempt political function, defined as influencing or attempting to influence the selection, nomination, election or appointment of an individual to a federal, state, or local public office or office in a political organization. The Chapter may engage in activities that are not exempt function activities, but these may not be its primary activities. The Chapter shall not carry on any activity prohibited to one defined by Section 527 of the Internal Revenue Code. Section 2. Prohibition against Private Inurement. No part of the net earnings of the Chapter shall inure to the benefit of, or be distributable to, its Directors, trustees, Committee Members, Officers, or other private persons, except that the Chapter shall be authorized to pay reasonable compensation for services rendered and to make payments in furtherance of its purposes. Section 1. Fiscal Year. The Fiscal Year for the Chapter shall begin January 1 and end on December 31. Section 1. Amendment. These Bylaws may be altered, amended, or repealed and new Bylaws adopted by approval of a two thirds majority of the Committee Members. Any such modification of the bylaws must be submitted in writing to the Secretary and placed on the agenda in advance of the meeting at which the modification is to be discussed and voted upon. Voting on such bylaws shall be conducted by rules adopted by the Committee Members to include procedures that allow electronic voting and other methods which allow all members to vote. Section 1. Procedure. If the Bylaws are silent as to any procedural aspect of any action or meeting, the procedures used shall be determined by a quorum of the Committee or by the Executive Team in the interests between the meetings of the Committee. Section 3. Invalidity. Should any of the provisions or portions of these Bylaws be held unenforceable or invalid for any reason, the remaining provisions and portions shall be unaffected. Code shall be to such sections of the Internal Revenue Code of 1986 as amended from time to time, or to corresponding provisions of any future federal tax code. Section 1: Indemnification. Subject to the limitations of this Article XII, the Chapter shall indemnify a person who is or was an Officer or Committee Member to the extent authorized by law. (iv) Gross negligence or willful misconduct. The termination of a proceeding by judgment, order, settlement or conviction, or upon plea of no contest or equivalent does not alone create a presumption against indemnification. (b) Indemnification is not required if the Committee Member or Officer has previously received indemnification or allowance of expenses in connection with the same proceeding. (iv) By an affirmative vote of a majority of the Committee Officers provided, however, that Committee Members who are at the time parties to the same or related proceedings, as plaintiffs or defendants or in any other capacity, may not vote in making the determination. days of the Chapter’s receipt of the written request. (d) If a Committee Member or Officer is determined to be entitled to indemnification as to some claims or matters, but not as to others, the indemnification may be limited as appropriate. acted in good faith, reasonably believing the action to be in the Chapter’s best interest. to this Section, shall inure to his/her heirs, executors and administrators. (g) No amendment or repeal of this Section shall reduce the obligations of the Chapter with respect to any proceeding based upon prior occurrences.